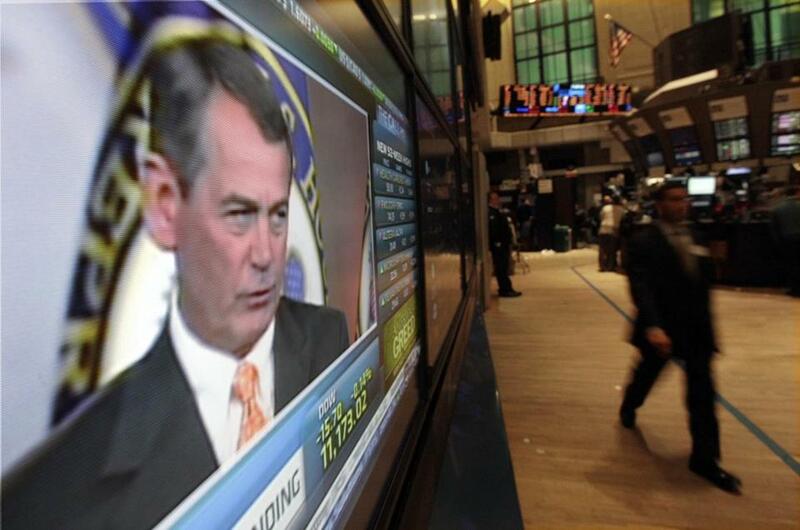 Former Speaker of the House John Boehner on a television screen on the floor of the New York Stock Exchange in 2010. The cannabis startup backed by former Speaker of the House John Boehner is set to become one of the most valuable companies in the US weed industry. Acreage Holdings is the latest US cannabis firm to tap the public markets in Canada, where marijuana is legal, through a reverse takeover. The company raised $314 million in a private placement that values it at about $2.8 billion. Acreage shares are set to start public trading on Thursday. Run by former Wall Street banker Kevin Murphy, Acreage has more has more than 40 dispensaries across the United States. In addition to Boehner, a Republican, the company also counts former conservative Canadian Primer Minister Brian Mulroney as an adviser. Acreage’s public listing comes in the wake of the national legalization of cannabis in Canada. The federal ban in the United States has made it tricky for entrepreneurs to raise domestic capital because most banks and large institutional investors remain on the sidelines. That’s why many are turning to the Canadian stock market. Following the midterm elections, which saw Democrats take control of the House of Representatives as voters eased weed regulations in three states, there’s renewed optimism that the federal government could end marijuana prohibition. Murphy expects the pace of acquisitions in the United States to accelerate as companies try to build national scale. Murphy made his initial weed investment in 2011, putting money into a medical cannabis company in Maine. Acreage has since acquired licenses in Massachusetts, California, New Jersey, Florida, New York, and other states. It’s jockeying for national position along with Curaleaf, MedMen and Green Thumb Industries — large US companies that are publicly traded in Canada. Legal cannabis sales are expected to rise above $10 billion in the United States, with more than half of that coming from the recreational market. Ultimately, the US industry is expected to be more than 10 times larger than the market in Canada. While federal legalization has given Canadian companies a head start, US companies hope to quickly close the gap, Murphy said.